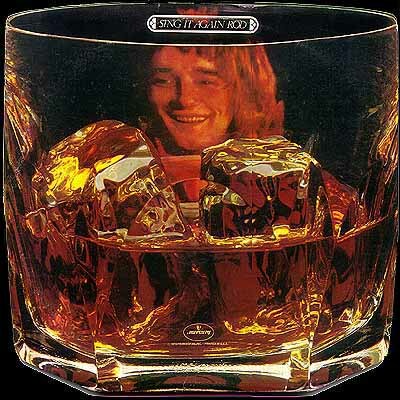 Notes: Believe it or not kiddies there was a time when Rod was God. Well, not THE God, but A god anyway. He and his mates would down a pint or two and knock out just smashing renditions of tunes by Jagger/Richard, Pete Townshend, Sam Cooke or Elton John for that matter. 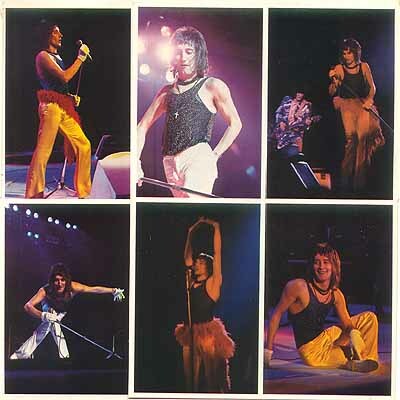 This is a great collection of pre-"Do Ya Think I'm Disco" Rod and the man deserves his due. A gravel voiced pub crawler with some talented friend is how I'd like to remember him. 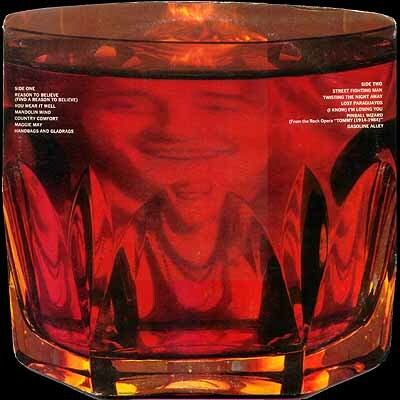 The clever die-cut cover in the shape of a whiskey glass and liner photos capture the mood of the day. Ah, laddie, when ya comin' back? While not listed on the cover his band was always comprised of ex-Small Faces and future Rolling Stones and Who members. A good time was had by all. These photos were from a great show - a typical Faces show with many wine bottles left behind in the dressing rooms. I had lied my way into a backstage pass, shot the photos, and then went to work after the show - I was working the midnight shift in a photo lab. In the morning I drove to Manhattan - woke up Rod - still don’t know what I was thinking other than, “he should really see these pictures”. He liked them - gave me Peter’s phone number and the number of his hotel in Roanoke, Virginia and told me to let him know if I had made contact with Peter. His plane was late, but he returned my call when he got in. I was 17 and hanging outside with my friends when my mother called me and very calmly yelled “Rod Stewart is on the phone” giving me instant “The Man” status, (lol). I got paid $200 to $250. - don’t remember exactly. I spent it all on copies of the album to give to friends and relatives. It was the first professional work I had ever done. I’m still a photographer today, but it is never as much fun as it was back then.